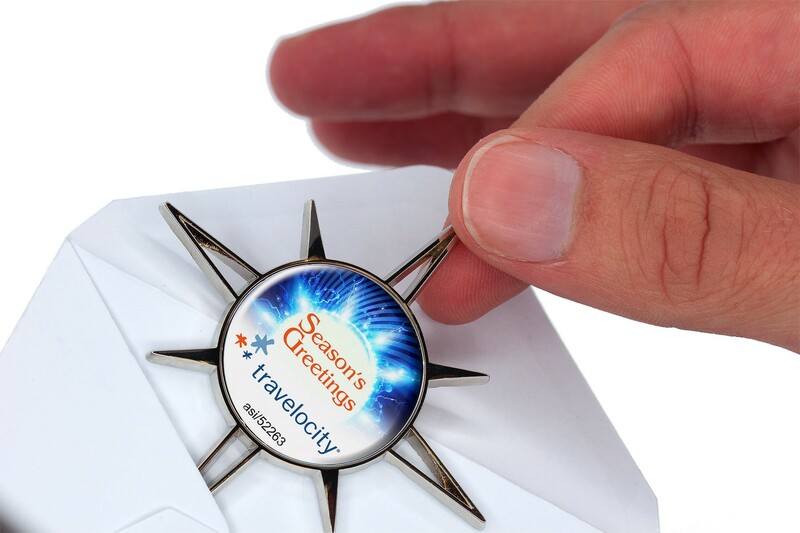 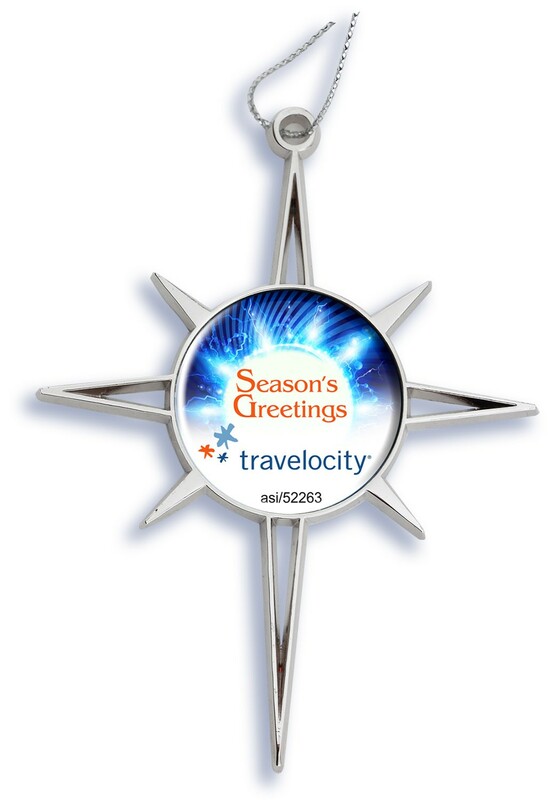 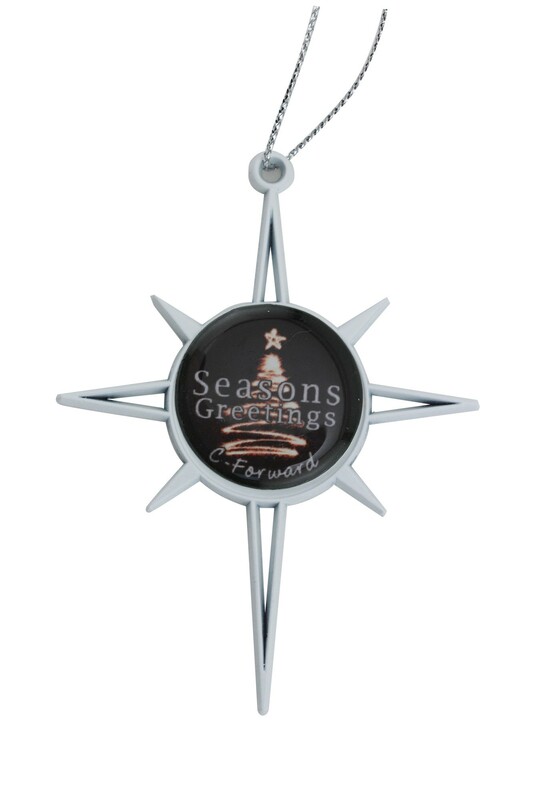 Premium metal custom ornament with Star of Bethlehem shape. 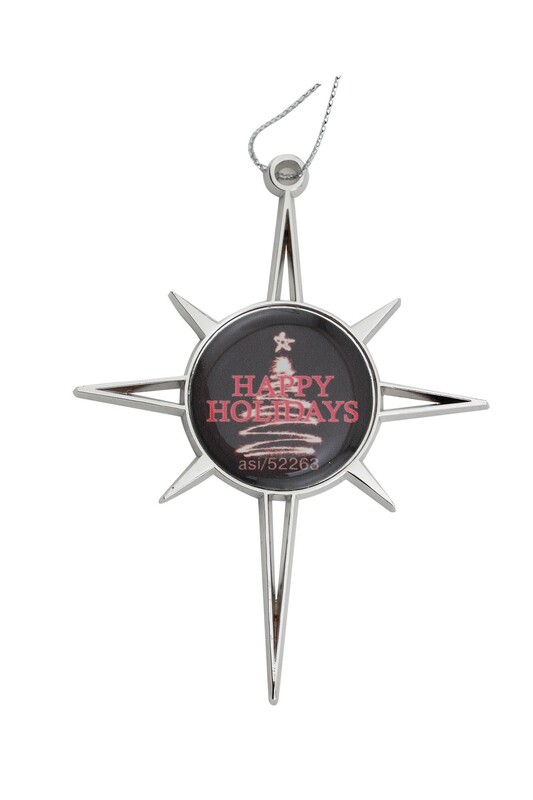 Features custom full color imprint or logo in the center, with epoxy dome finish, silver metallic cord, and made of premium metal material. 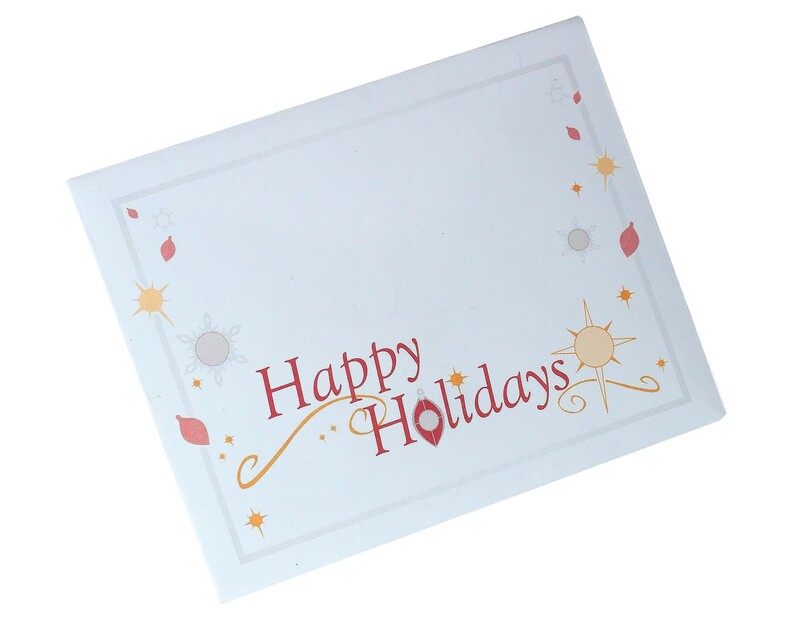 Optional gift envelope available. 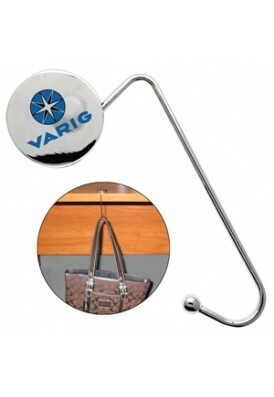 Rush available, contact us for pricing.